The UMG Orlando 25K Series Tournament is taking place at the Rosen Centre Hotel in Orlando, Florida from Jan. 2-4. This will be the second overall Call of Duty: Advanced Warfare major event, where teams will be able to compete for a total of $25,000 and 25,000 Pro Points. The venue of the event will be hosted at the Rosen Centre Hotel at 9840 International Drive Orlando, Florida 32819. This will accommodate to house both the venue and players for the event. If you’re looking to reserve a spot at the Rosen Centre Hotel, you can book your hotel room here, or call them at (407) 996-9840. Full teams will be required to check in to be present at the venue bright and early at 8:00 AM EDT. The actual venue will not be accessible to players to practice in until 1:00PM EDT in the afternoon. Matches in Bracket Play will commence at 2:00PM EDT. Please note that a wired headset, mixamp, Call of Duty: Advanced Warfare game disc, earbuds, and a wired controller are required to bring. If you and your team are looking to purchase a teampass, well you’re out of luck. UMG Online sold out of them fairly quickly. The only obtainable way to gain a teampass now, is to either buy one from a team willing to transfer theirs before the lock date, or through competing in UMG Online tournaments that offer team passes as prizes, if there are any. Spectator Passes are still available and limited. These spectator passes are only valid for this tournament. There are only several types of passes available for purchase. 1 Day Pass – $20: Will be able to use this pass on the day of your choosing. 3 Day Pass – $40: Spectator Pass that will be valid for the entirety of the event. VIP Pass – $120: This pass will allow preferred seating, access to the VIP lounge, VIP seating, and a UMG lanyard along with a Spectator Pass for the entirety of the event. Press Pass – N/A: Please contact Bryan@umggaming.com if you’re apart of a media outlet, like eSportsNation, looking to get coverage live at the event. *Note that UMG will not be offering any sort of refund if you mistakenly purchase a teampass or spectator pass. Pool Play will be making its return to this event, consisting of a total of 20 teams. Eight teams will qualify based on the top eight North America Advanced Warfare Pro Points Leaderboard. This leaderboard will lock and determine the top eight teams on Monday, Dec. 29 at 9AM EDT. The other eight teams will qualify strictly from December’s 2K and 5K Pro Points Tournaments. The remaining 128 teams will be competing in the Open Bracket looking to place Top 8. The Top 4 teams in the Loser’s Open Bracket will directly proceed to the Championship Loser’s Bracket, while the Top 4 teams in the Winner’s Open Bracket proceed to Pool Play. The Prize Pool for UMG Orlando has been released for the Top 4 teams with a grand total of $25,000 in cash prizes and 63,000 Pro Points. 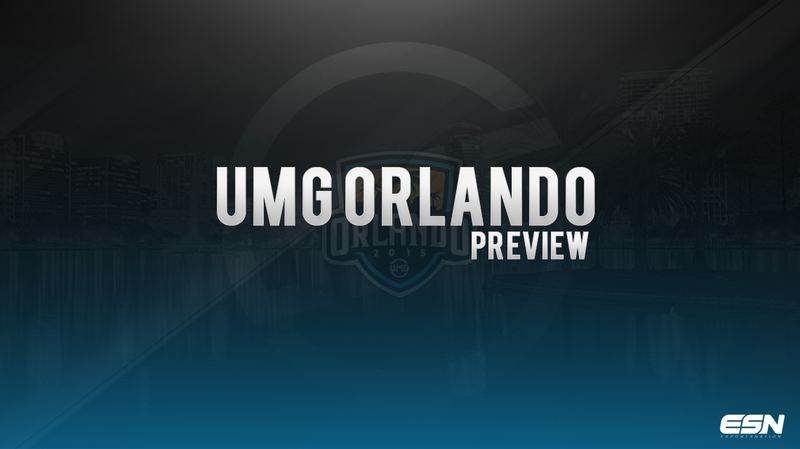 This concludes eSportsNation’s UMG Orlando Preview. Let us know if you and your team are competing at the event in 2015.